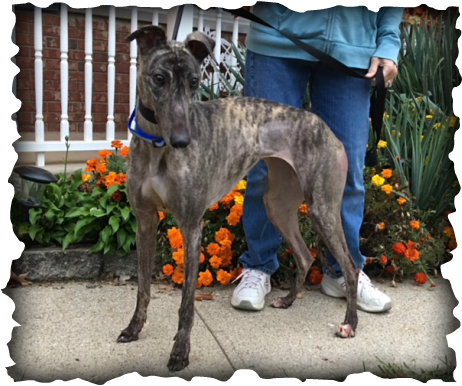 FOSTER HOME says: She is confident and a smart girl. Doing well with my 5 other dogs (various sizes) She walks well on lead and crates well with a treat thrown in first. She could be an only dog and doesn't bark. She LOVES walks and did well meeting kids during a walk, her tail wags a lot! Happy girl.